Let’s start with one of the most popular posts from last year – a wedding inspired by Harry Potter. 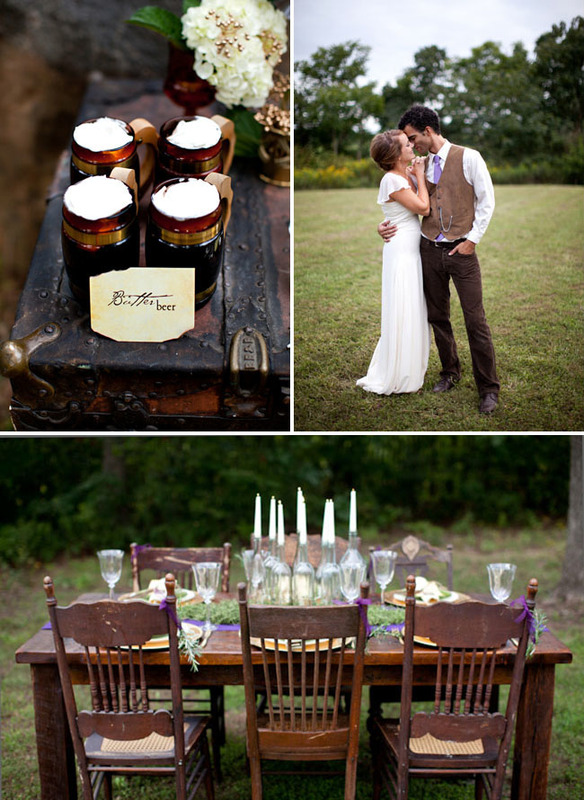 We love the earthy and aged but magical feel to this styled shoot photographed by Abby Grace. 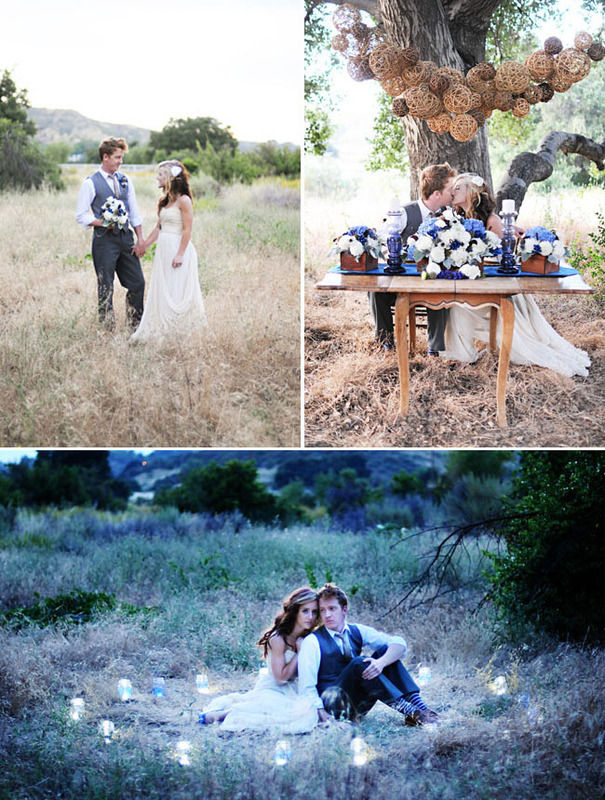 And let’s not forget this Twilight inspired wedding shoot – this time with a Southern California twist! Photographed by Brienne Michelle Photography + styled by Tasteful Tatters. The romantic movie, Water for Elephants, was the inspiration for this gorgeous shoot of a mock wedding for the main characters, Jacob and Marlena that took place at one of the locations used in the movie! Photographed by Marilyn Nakazato + styled by Miss Tashina. Beautiful white + black ballet inspiration from Black Swan for this gorgeous styled shoot photographed by Jessica Claire + styled by Jill La Fleur . Love the hanging tutus! Not quite a movie, but we all remember the music from Super Mario Bros. and this super fun Super Mario Bros. styled shoot had us all smiling big! Styled by Primary Petals and photographed by Lehua Noëlle Faulkner. 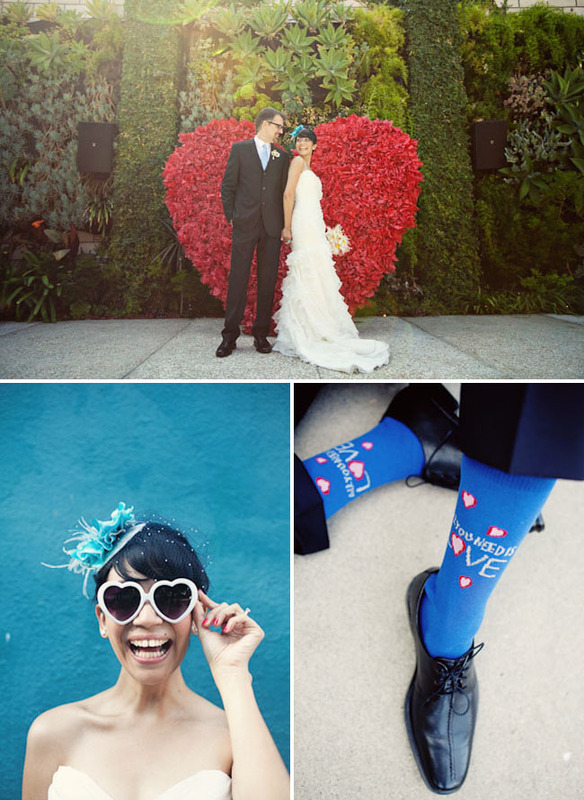 This lovely couple had an Up inspired Wedding photographed by We Heart Photography! The only thing sweeter than their wedding might be their proposal film with hundreds of balloons (you can see it here). Maybe you are a fan of chocolate! 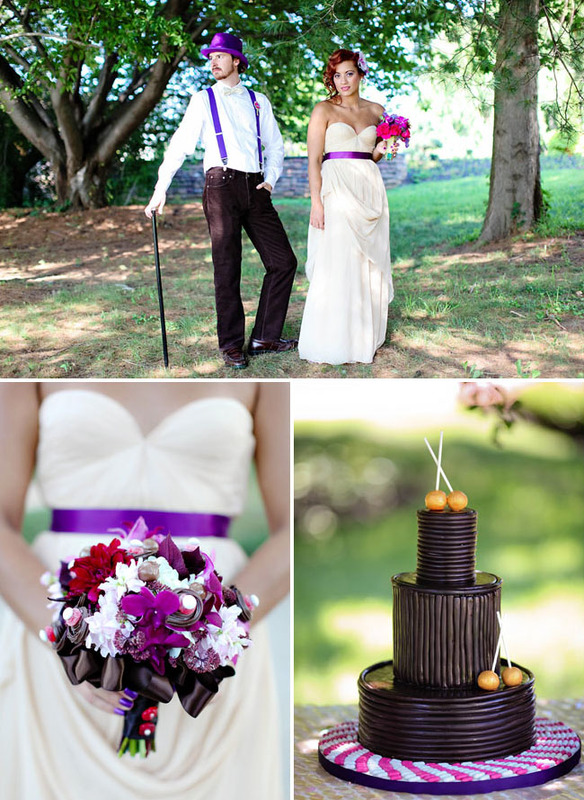 If so, you might love this Willy Wonka inspired wedding shoot photographed by Kay English. Who doesn’t love Amélie!? 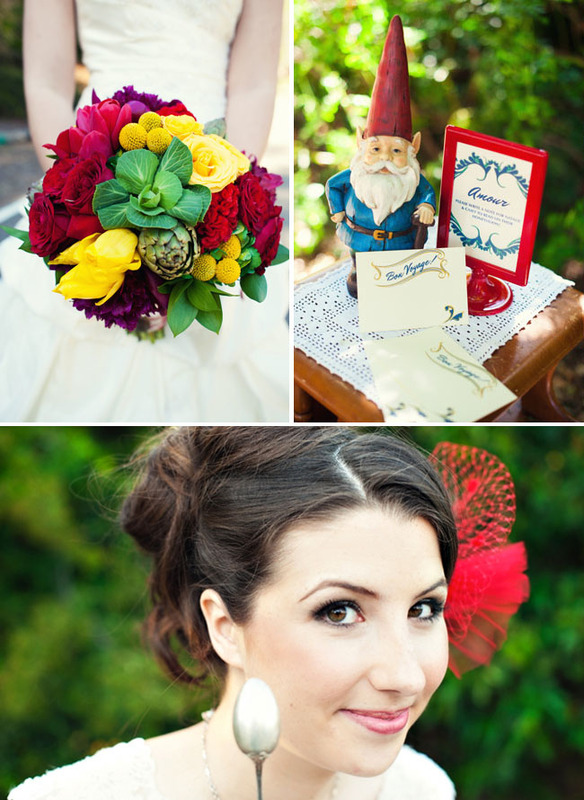 :) Love the bright + fun details with a bit of quirky in this Amélie inspired wedding shoot photographed by Melissa Munding. Maybe you are thinking of a more modern + glam wedding? 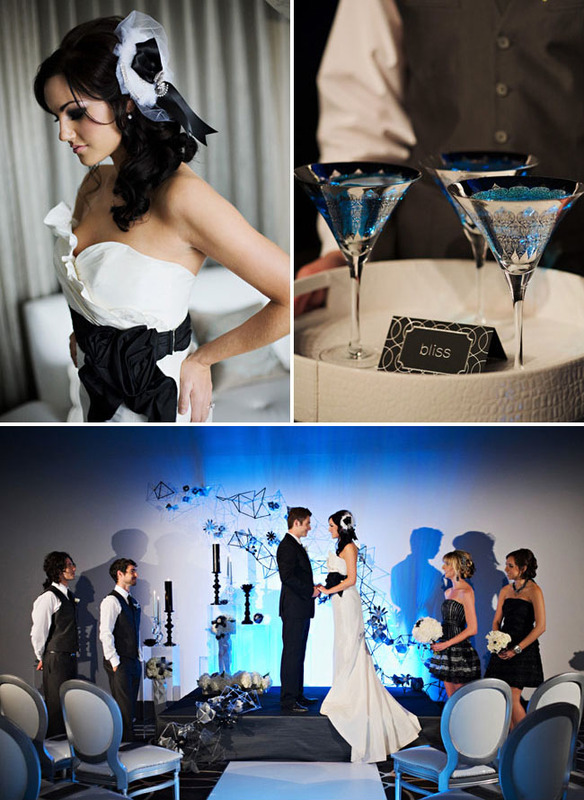 How about pulling inspiration from one of your honeys favorites: a Tron inspired wedding! Designed by Simply Modern Weddings and photographed by Trista Lerit. The top Beatles inspired wedding was photographed by Ashley Rose + designed by Jesi Haack Designs. So many fun + cute details! 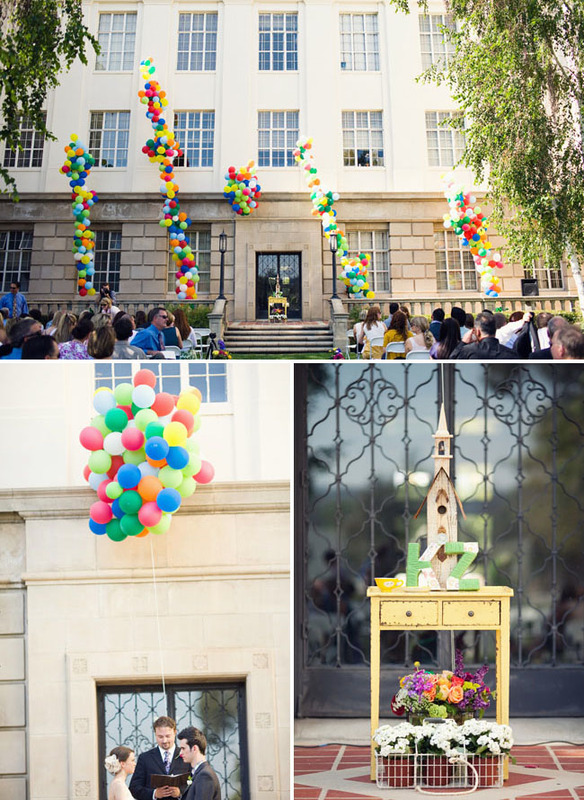 And then another Beatles inspired wedding designed by the couple and full of lots of DIY fun photographed also by Ashley Rose. What do you lovelies think? Did you have a favorite movie, music or game inspired wedding we featured? What elements would you incorporate? I love all of these! That Tron one is LEGIT. So creative! 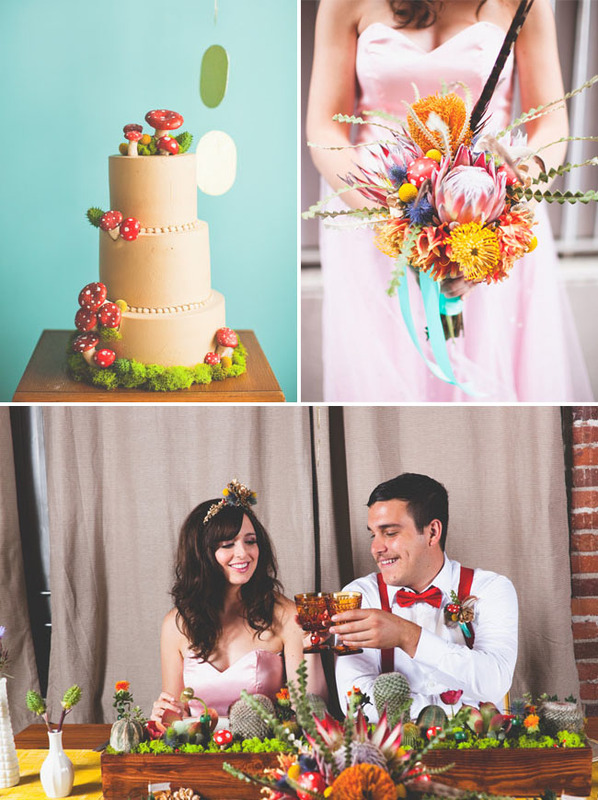 Thank you GWS for featuring the Super Mario Bros Wedding inspiration again! Seriously, this was one of my favorite projects this year, and I get so excited that people are now asking for elements from this shoot in their events/weddings! So honored to be featured here again! Thanks so much GWS! I couldn’t be prouder to be in your pages. I loved this project and I am so impressed with all of these other inspiring shoots too! What a great group to be included in! omg! I love the hair in the 5th pic! Oh my goodness, I love this! 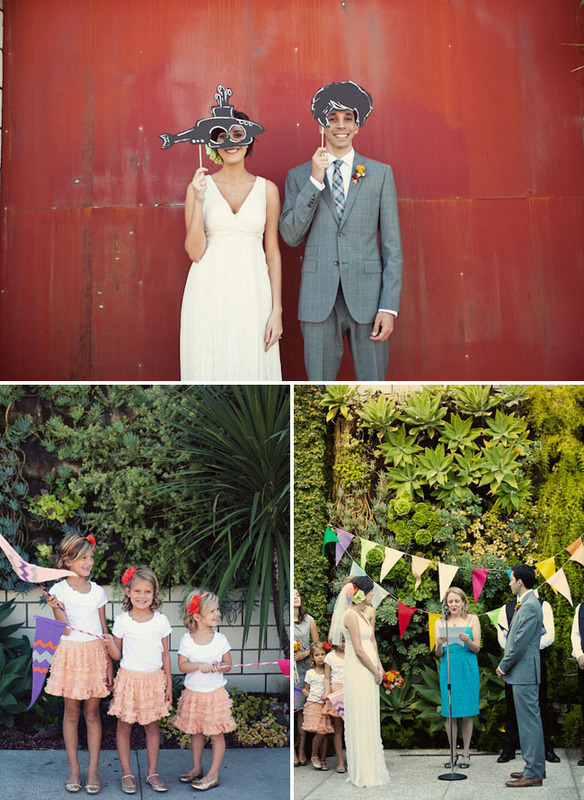 Thanks for featuring our Amelie shoot again! It was such a pleasure seeing it all here…twice! I loved Sweet Home Alabama with Reece Whitherspoon but always wanted to know who designed that dress she wore in the movie. Can’t seem to locate that info. Love the centerpiece of glass bottles holding taper candles in the Harry Potter-inspired shoot! Super Mario Bros was also a movie ;) Not a great one, but had a great soundtrack featuring Roxette… I think Mario was played by Denis Hopper?